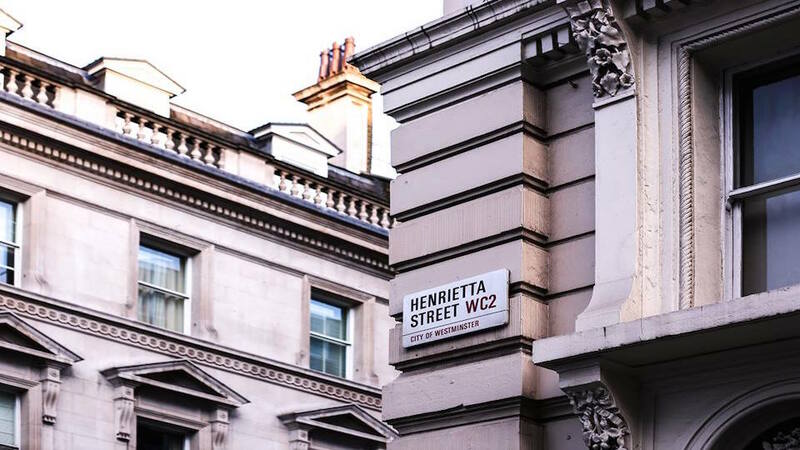 Henrietta Street is one of London's oldest streets with a history that dates back hundreds of years. It's located in the heart of London right beside Covent Garden. The Henrietta Hotel occupies two period townhouses in the street - numbers 14 and 15. It is the first London hotel from the Experimental Group that also owns the eclectic Grand Pigalle Hotel in Paris and the Grand Boulevard Hotel, also in Paris. 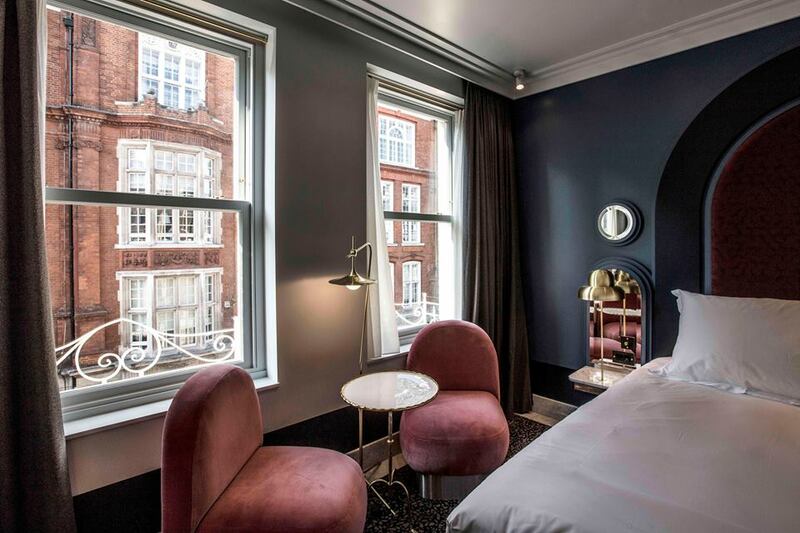 The hotel they have created with the Henrietta is one that celebrates and draws from the local area including the buzz of London and the artistic, culinary, and community influences of Covent Garden. As well as having 18 bedrooms, the Henrietta London also has a popular restaurant that boasts leadership from Ollie Dabbous, a Michelin starred chef. The regular use of marble and fabric wall panels as well as features like handmade headboards indicates a slightly Italian feel to the design of the rooms in the Henrietta London. The period design of the area is also evident, although the rooms are all luxurious and modern. 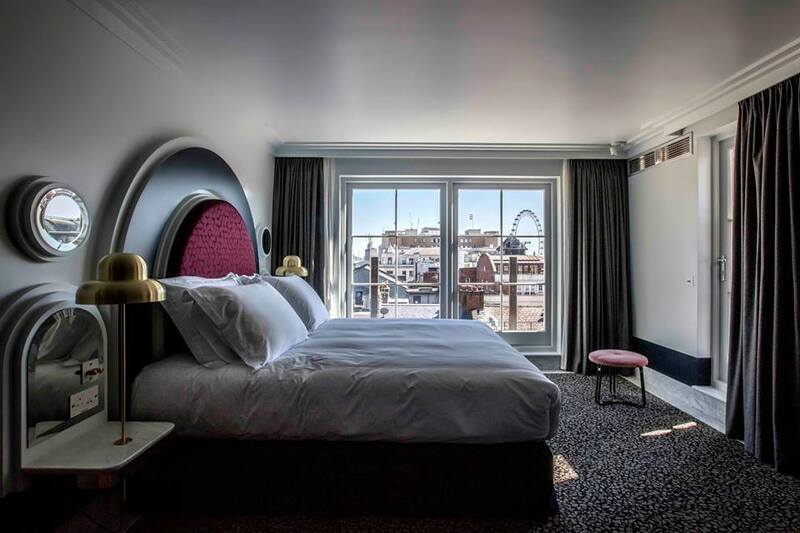 The city views from most of them are amazing too - you can even see the London Eye and other historical London landmarks from the beautiful Grand Henrietta room, for example.